The next time you chug down the ever-popular Chang beer in Thailand, you will be consuming the fruit of robots’ labour. Thai Beverage Group (ThaiBev) and Charoen Pokphand (C.P. ), two of Thailand’s—and Southeast Asia’s—biggest F&B conglomerates, are planning to develop robots to respond to the Thailand 4.0 scheme. As written extensively in our previous articles, the Thailand 4.0 initiative is an economic model pushed out by the Government, aimed at pulling Thailand out of the middle-income trap and into the high-income range. Thailand 4.0 focuses on a “value-based economy,” marking a significant change in the country’s economy and production. One of the core elements of the Thailand 4.0 initiative is to transit to a knowledge-based economy, with an emphasis on research and development, science and technology, creative thinking, and innovation. Despite the general lack of awareness and understanding of the Thailand 4.0 initiative among local businesses, two of Thailand’s F&B giants view the Government’s initiative as paramount to the country’s digital transformation journey. 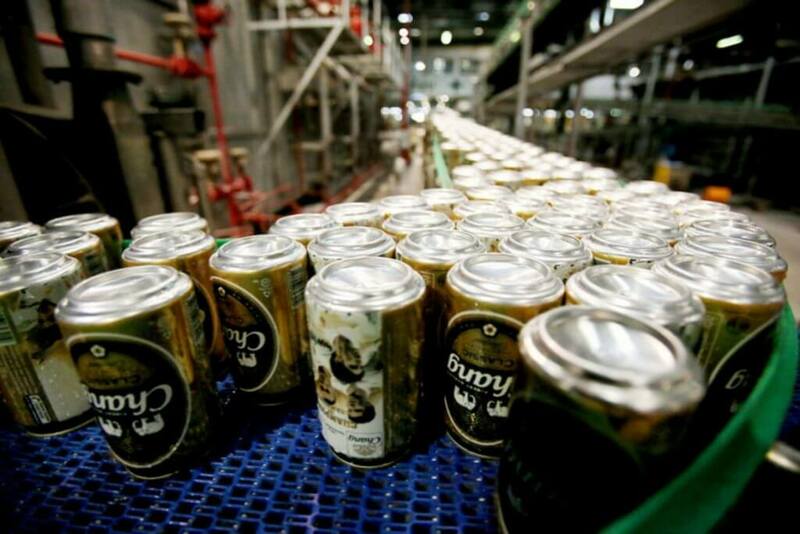 ThaiBev and C.P have both expedited efforts to affect changes in their operations through the deployment and integration of advanced manufacturing technologies. ThaiBev Group quietly set up a subsidiary called BevTech last December to develop robots, automated production technology and machinery to support its subsidiaries. According to Thailand’s Stock Exchange, BevTech has registered with a capital of 200 million baht (USD 5.9 million). ThaiBev aims to use the robots in its factories to boost productivity and efficiency, as well as supply them to other industries to generate income in the future. ThaiBev added that robotics is paying a more significant role in business and industry worldwide, with average demand growth of 10 - 15% from the industrial sector. Meanwhile, CP Group has teamed up with Panyapiwat Institute of Management (PIM) to offer a bachelor of engineering in robotics and automation. Associate Professor Sompop Manarungsan, PIM's president, said the institute has welcomed 50 students to study in its engineering and robotics automation program, which will start this June. With robotics becoming a global trend, especially in the manufacturing and industrial sector, the demand for robots and artificial intelligence (AI) technologies will continue to rise. This is especially driven by the perpetual need to increase productivity and maintain global competitiveness in a highly volatile economic outlook. Industrial IoT (IIoT) solution providers that have products and services related to robotics, machine automation, and AI can expect great interest among local manufacturers across ASEAN; particularly in Thailand and Malaysia where manufacturing is a key sector of the countries’ economic growth.